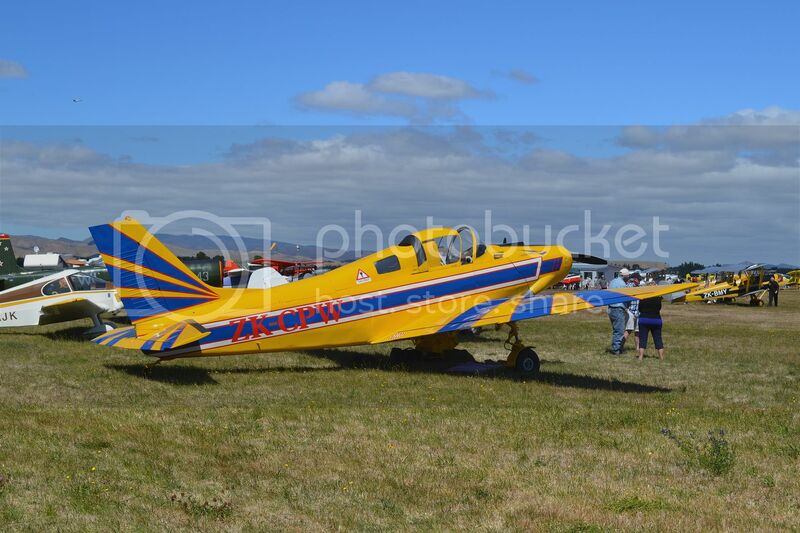 A few unrelated pictures from recent travels. 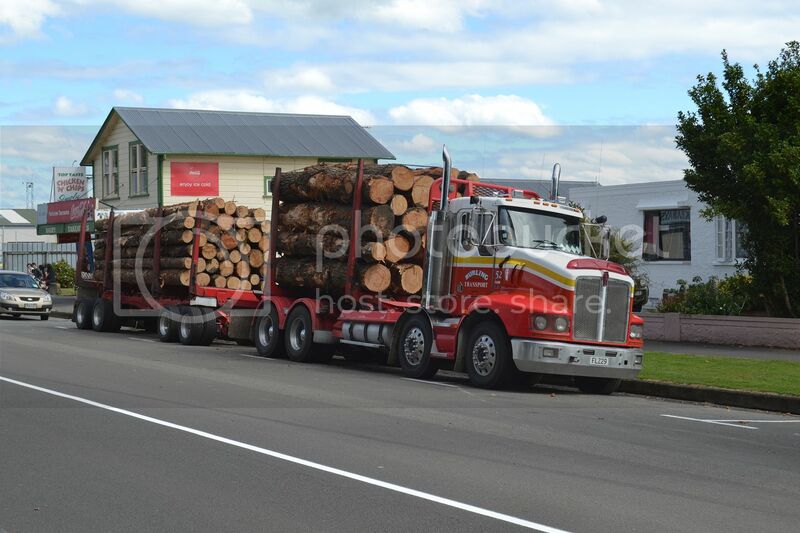 A McCarthy's Mack heading out for another load on Chapel Street Masterton. 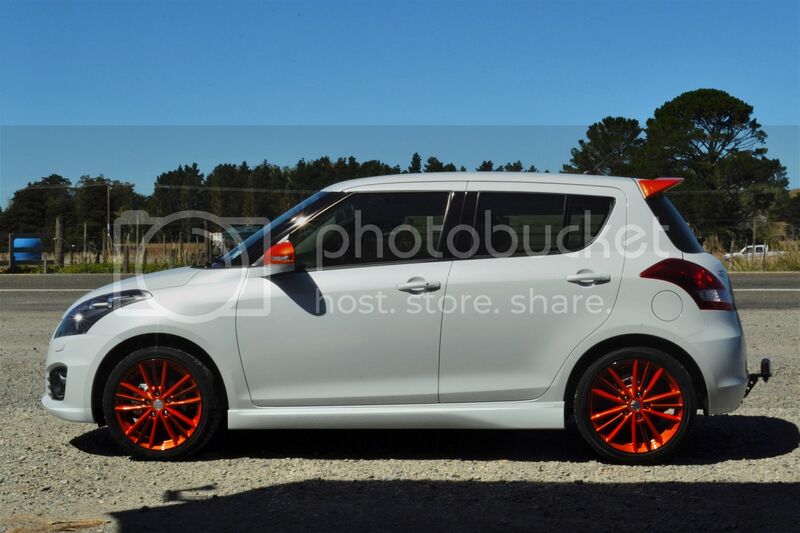 Interesting colours on Suzuki Swift. 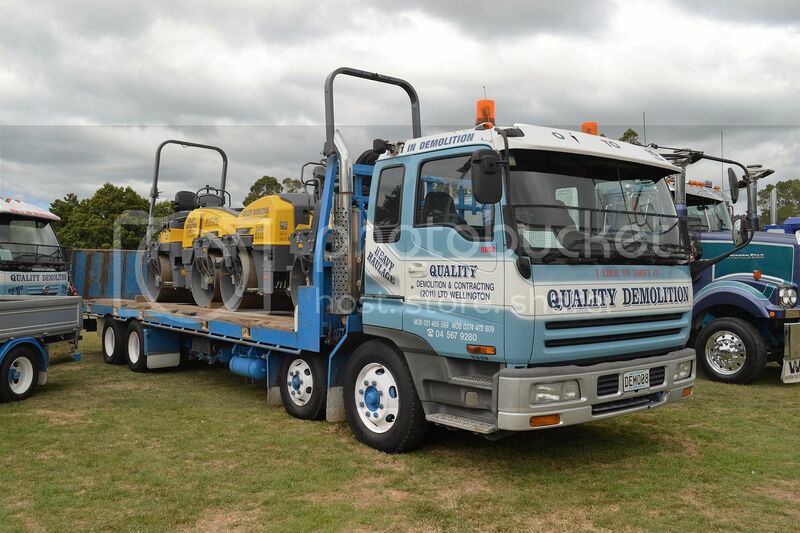 2014 Fuso of Mike Todd, Mangatainoka, parked at Woodville rail yards. 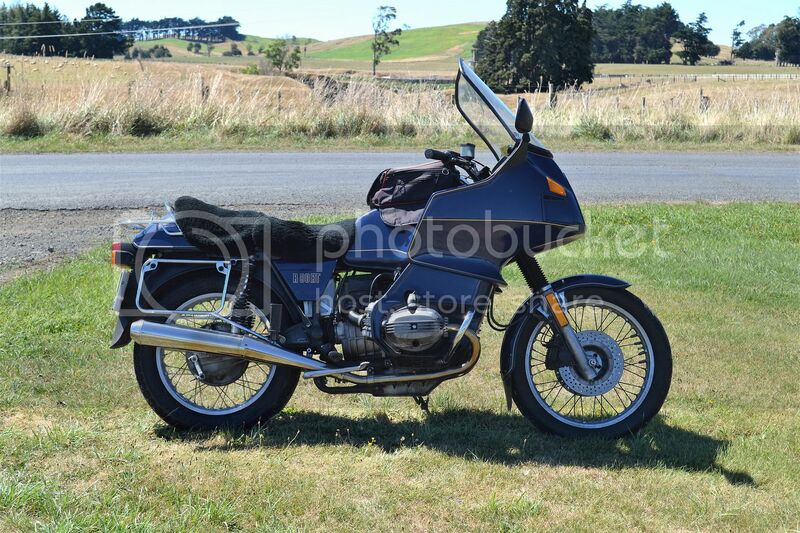 Still looking good at 30. 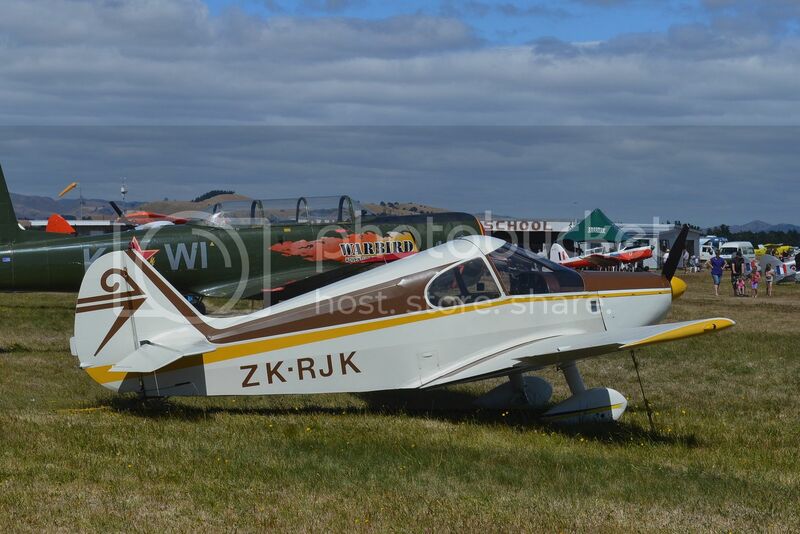 Gardan GY20 Minicab at an aero club event at Dannevirke, flew in from Hastings. 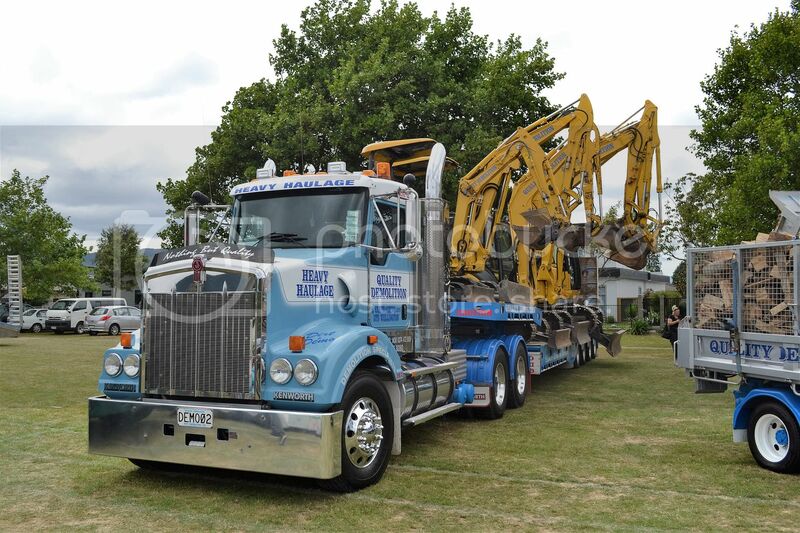 Australian Yeoman Cropmaster, also at Dannevirke had made the short hop from Waipukurau. 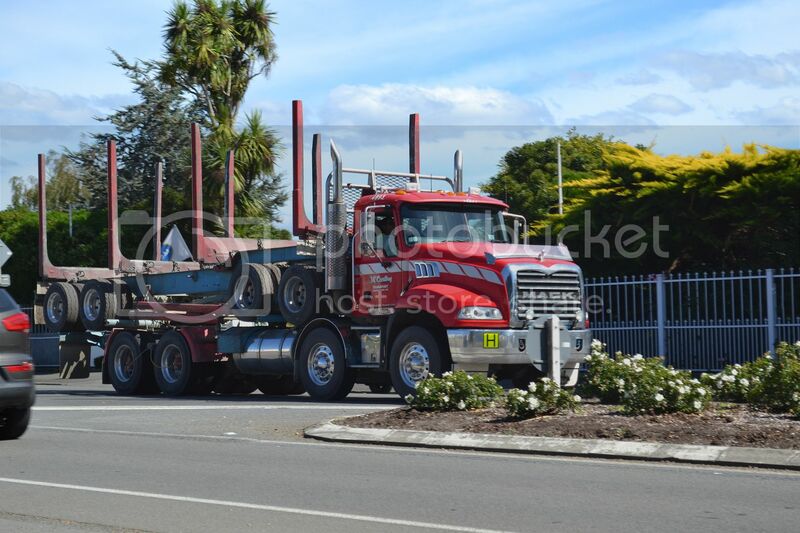 2010 Kenworth T408 of Burling Transport which appears to reside in Pahiatua, although the locality on the drivers door says West Coast? 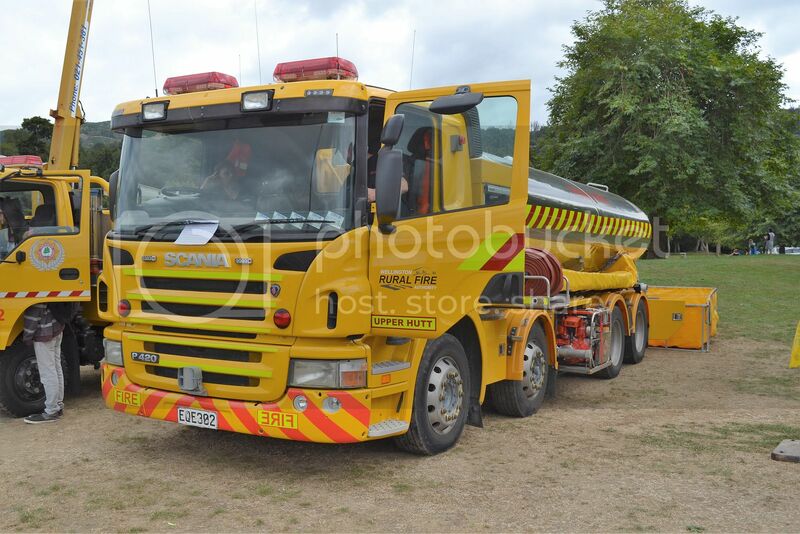 The Wellington Rural Fire Authority has this 8 wheeler Scania for bringing water to fires where it is difficult to access. 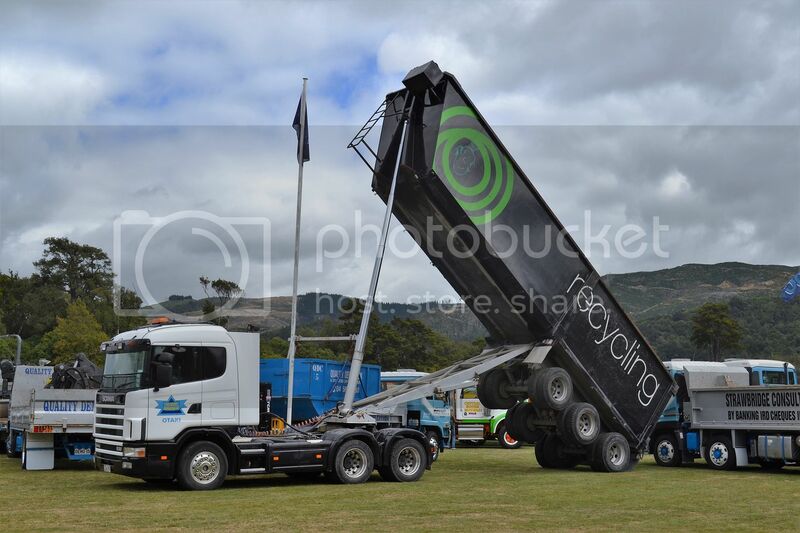 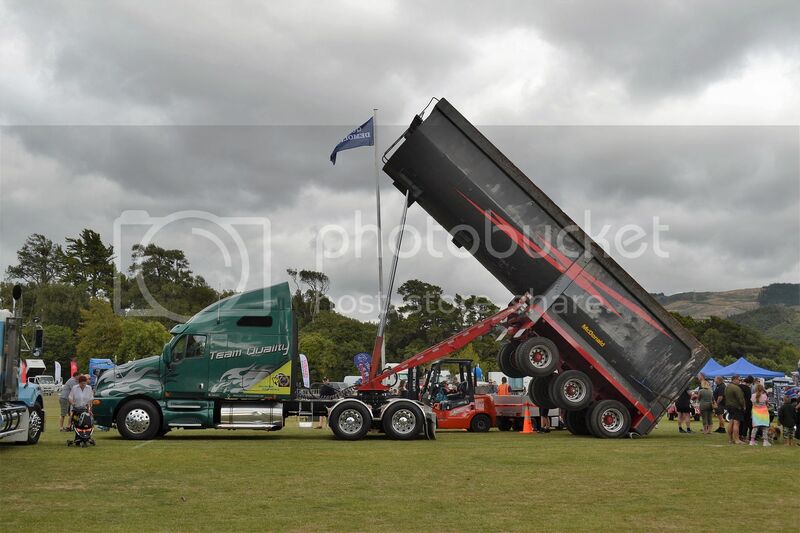 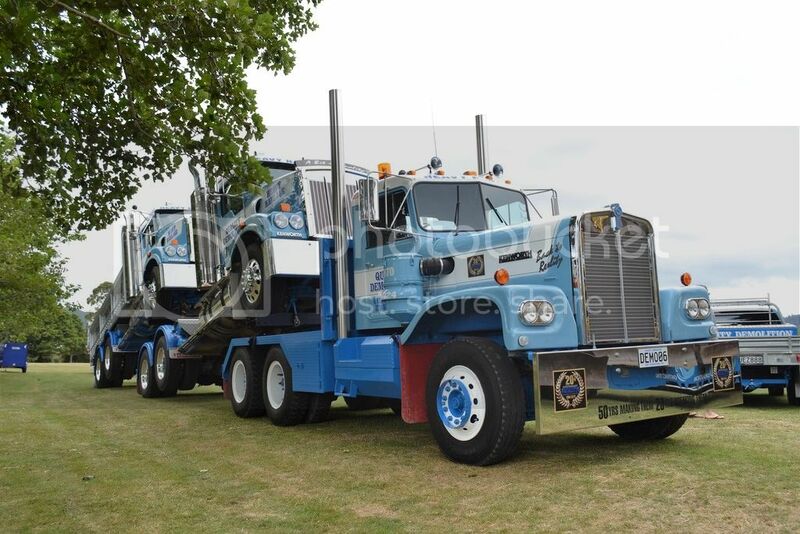 Noel Cooper from Otaki, displayed this tall tipper. 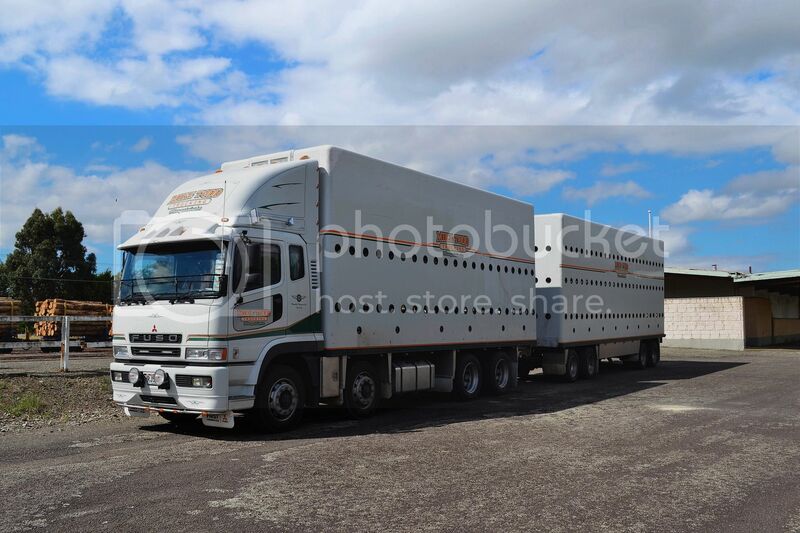 Must be one of the smartest W900s around. 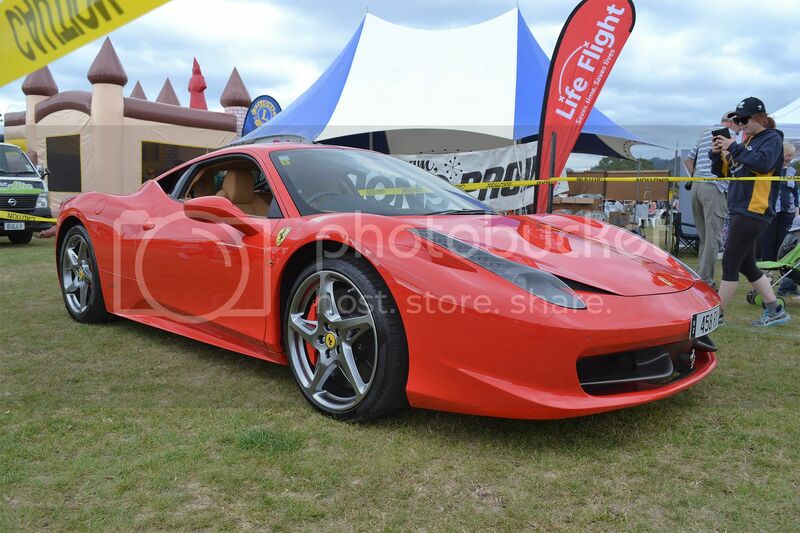 I know it was a truck show, but this 2010 Ferrari attracted plenty of attention. 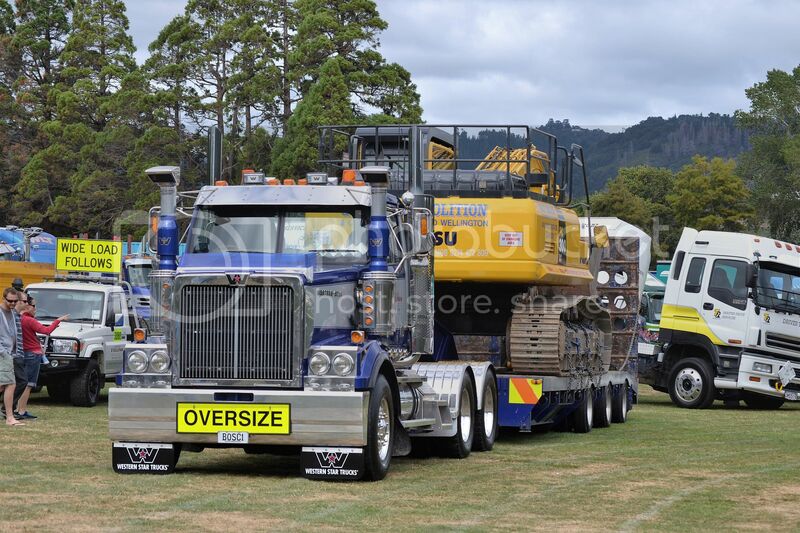 This Cat has a sun visor so sturdy, it can support a car. 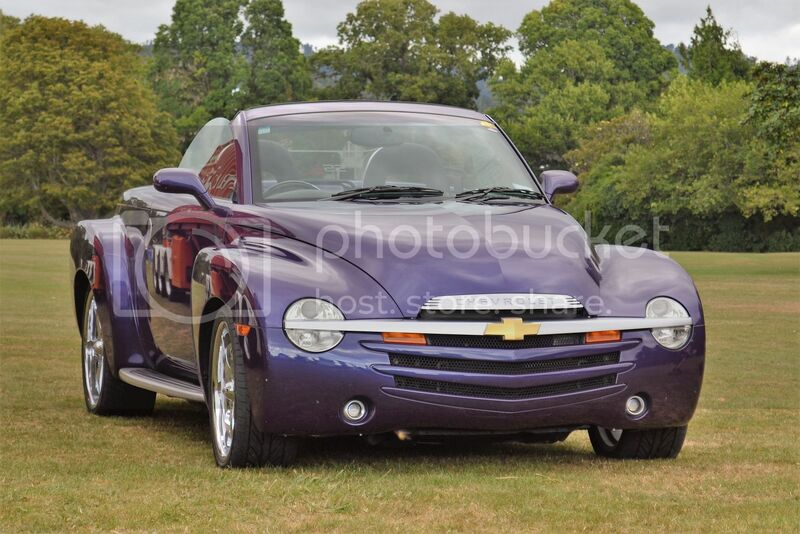 Chevy SSR convertible is cool. 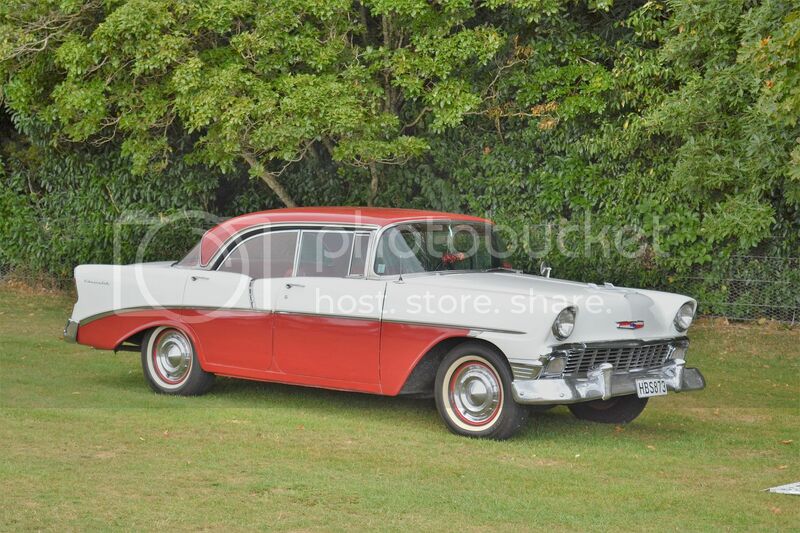 Very original '56 Chev shows as a Bel-Air on rego label, but is actually a Two-Ten sport sedan. 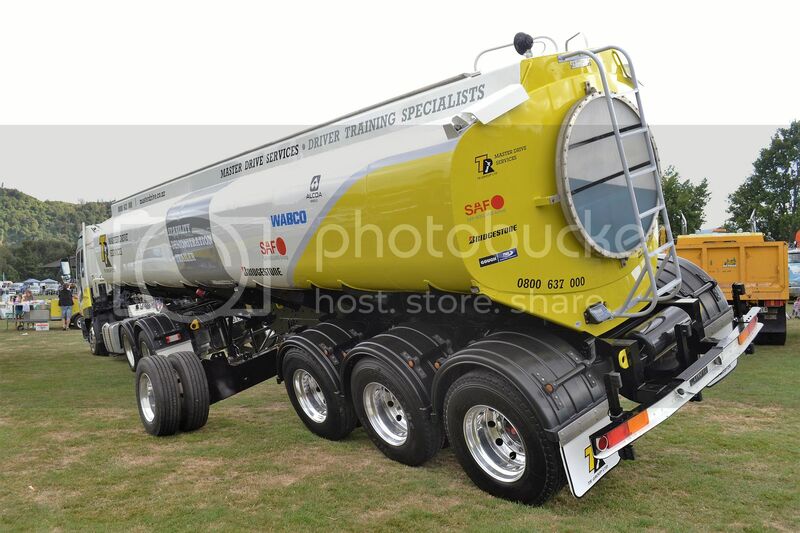 Driver training tanker was propped up to demonstrate its retractable learner wheels. 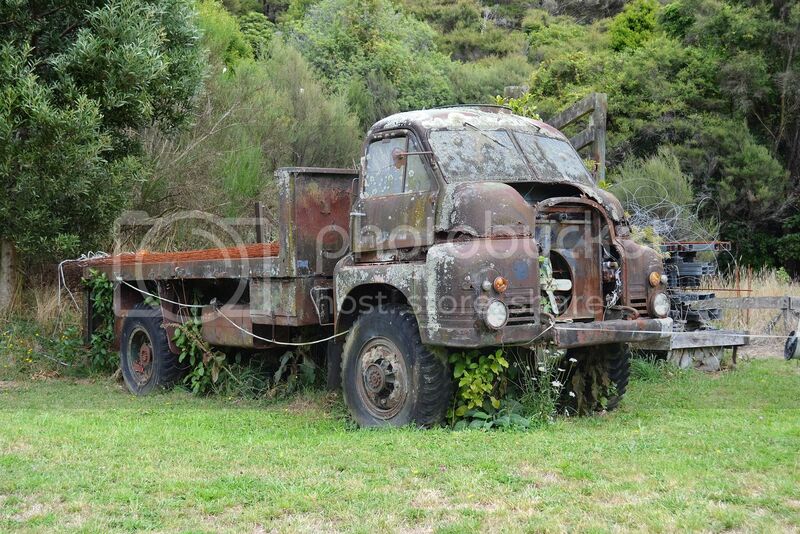 On the way home I decided to ride through Whitemans Valley and spotted this ex army Bedford RL rotting away in a field. 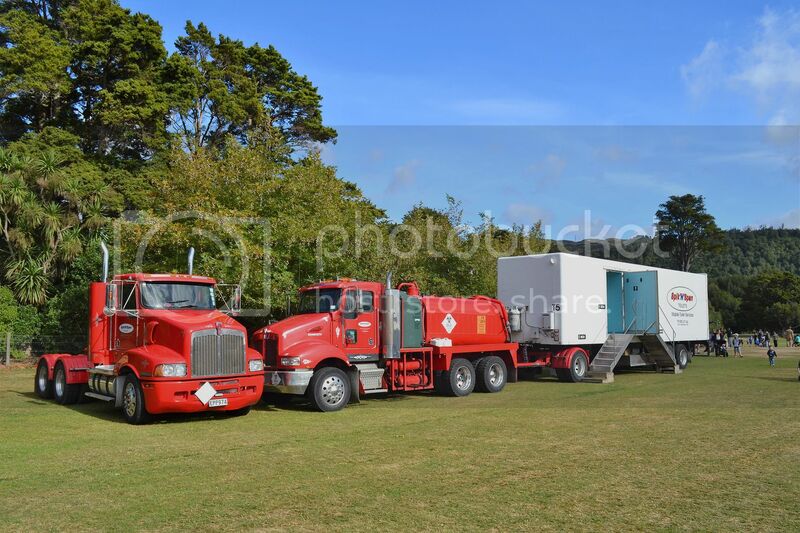 Once back in the Wairarapa I diverted through Martinborough. 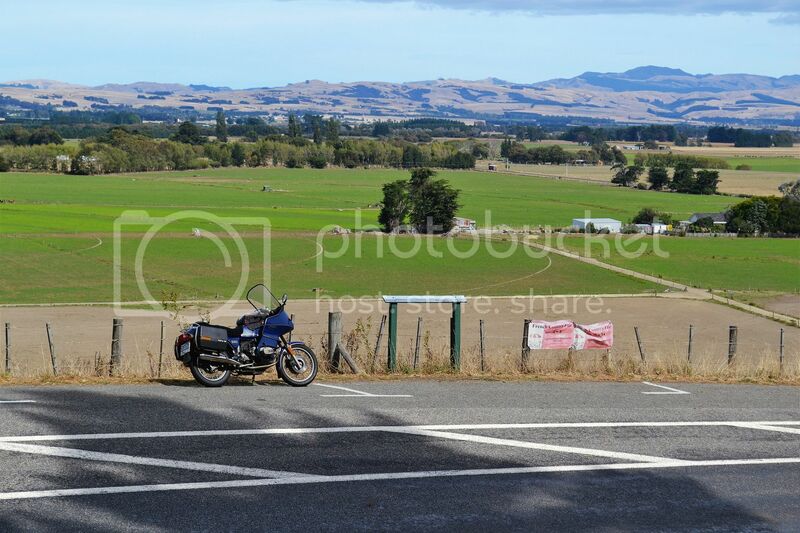 From the look-out on Bidwell's Cutting, this irrigated dairy farm is in stark contrast to the rest of the area, which is dry brown. 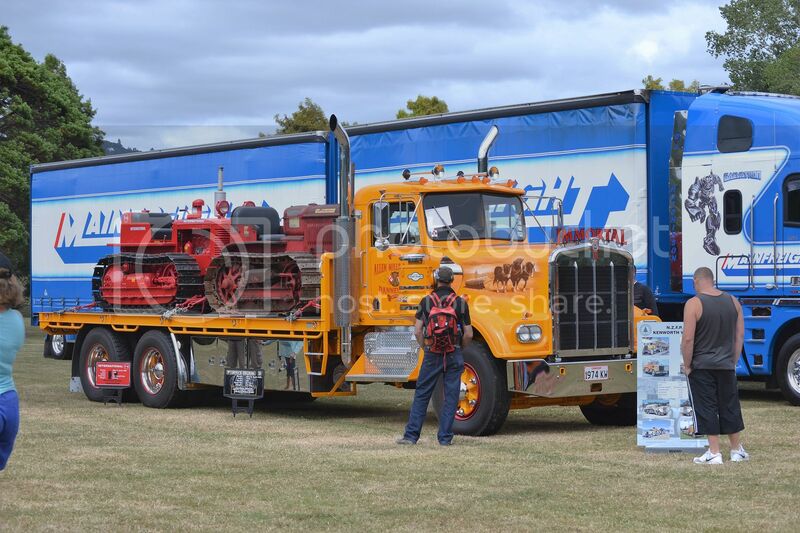 I took the bike for a ride over to the Wellington Truck Show at Trentham Park, today. 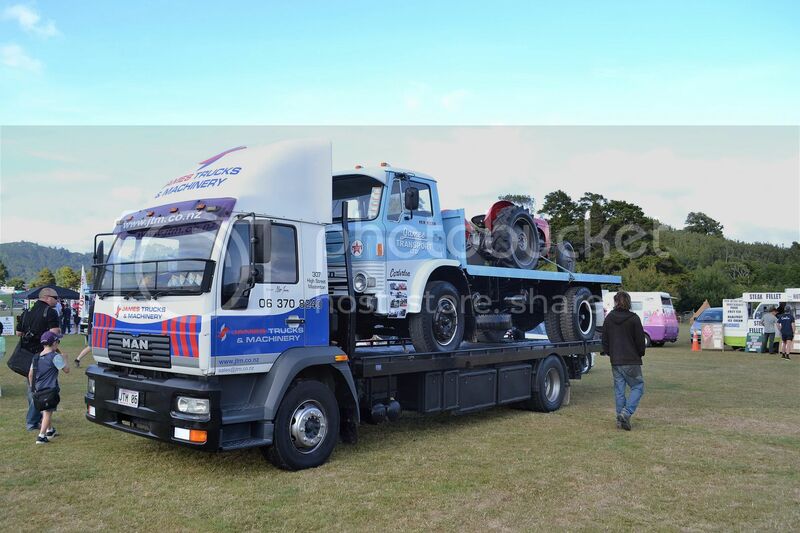 Here are a few snaps of what was there. 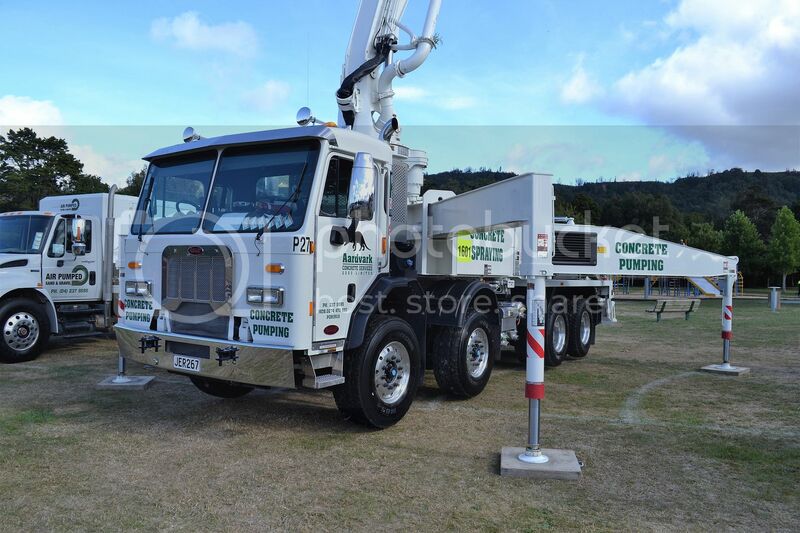 The Aardvark concrete pump has a very long reach and is mounted on a very rare Peterbilt PB 320. 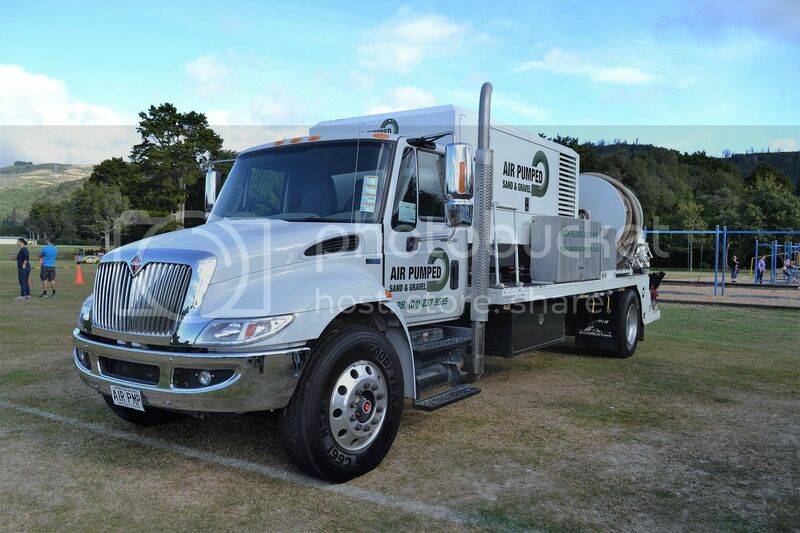 The same company also has this 2012 International 4300. 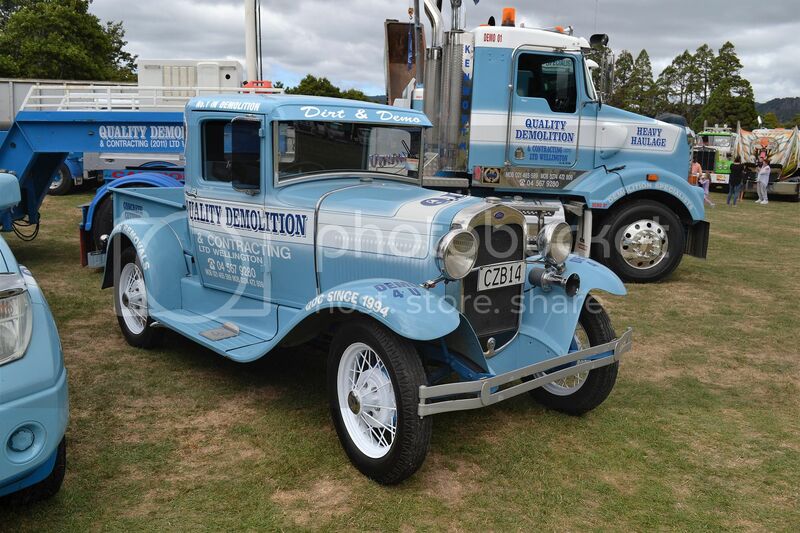 James Machinery, from Masterton, displayed their current MAN, their restored D series Ford and restored Ferguson tractor. 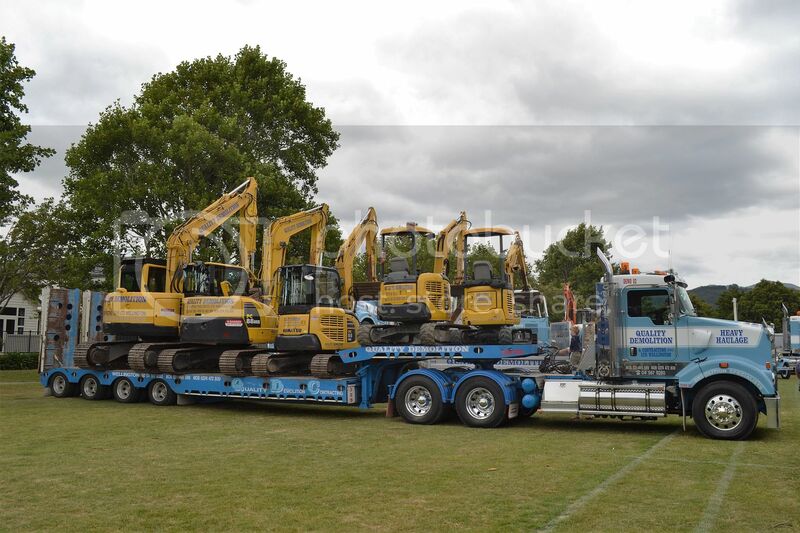 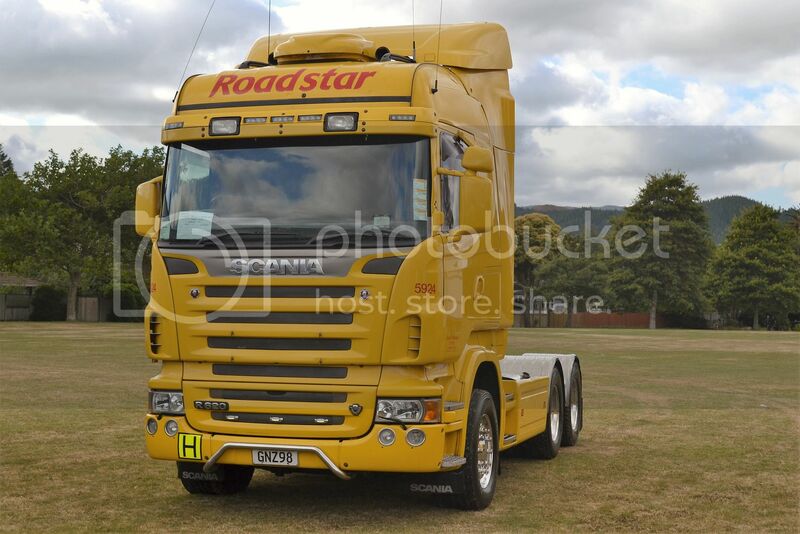 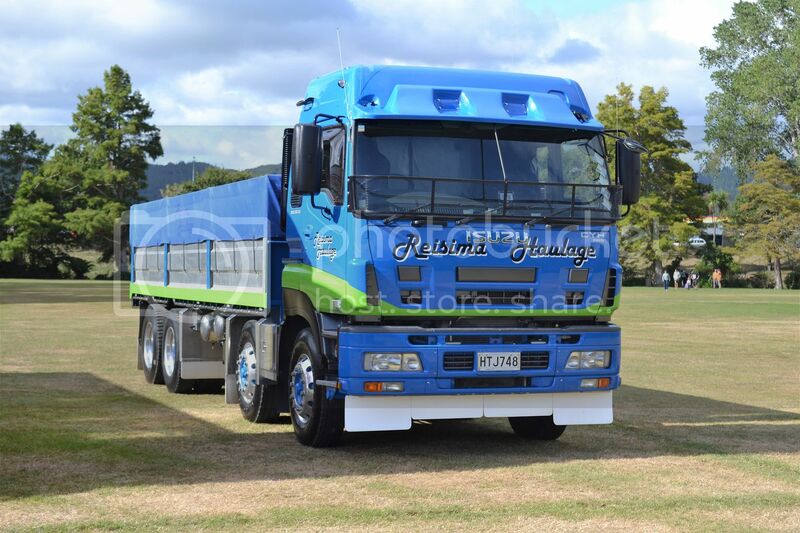 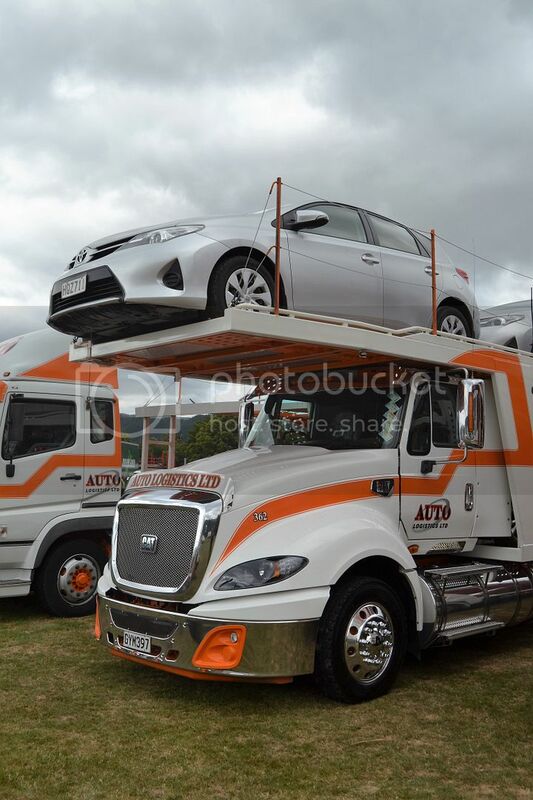 Another Masterton company, Reisima Haulage, displayed this very neat 2014 Isuzu Giga CYH. 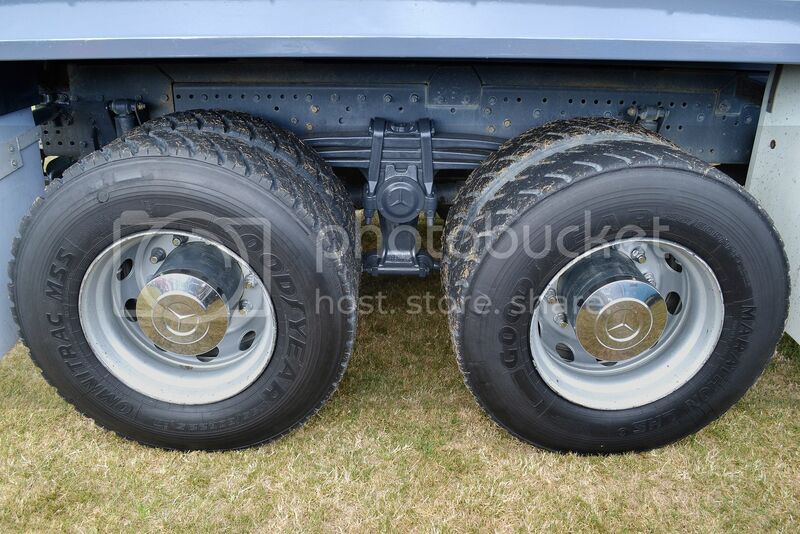 Just in case you forget what you are driving, Mercedes remind you on the hubcaps and suspension. 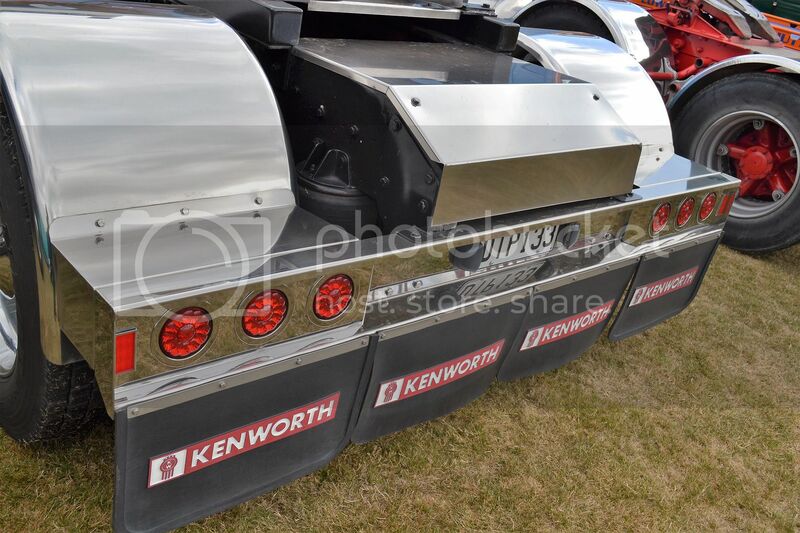 There must be about 2 kitchens worth of stainless steel on the back of this Kenworth. 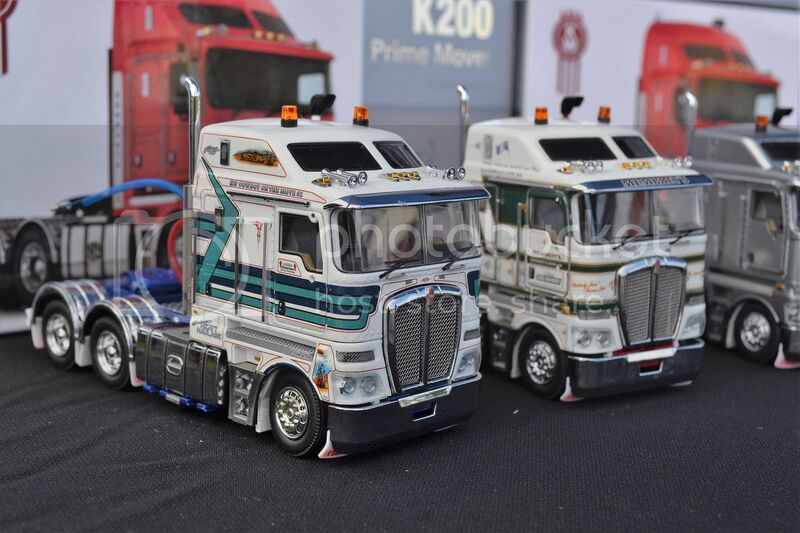 These 1:50 scale Kenworths are superb, but then you would expect that for around $200. 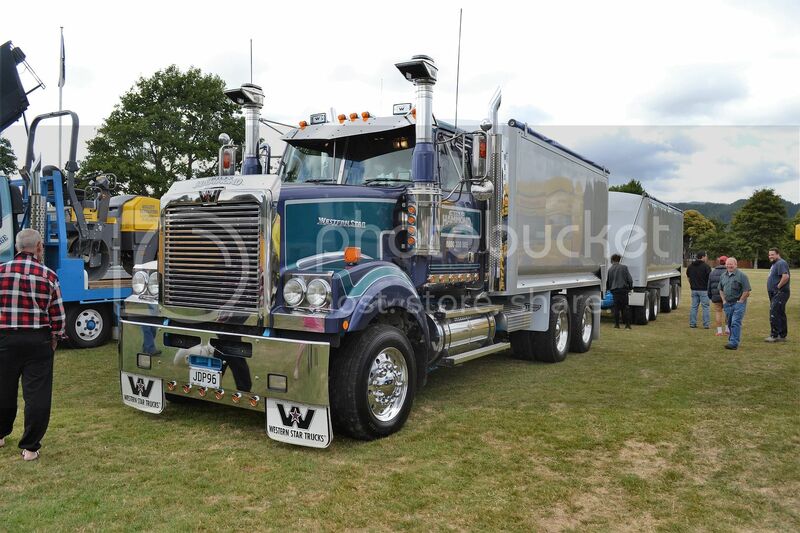 If I could be allowed to be very critical, I would just say, it's a pity they can't find a thinner material for the mudflaps. 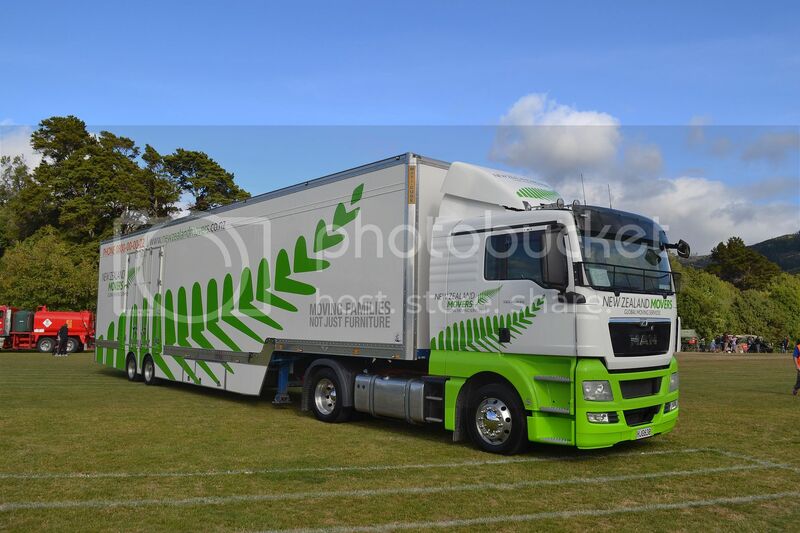 Single drive MAN TGX 18 440 hauls house removals for New Zealand Movers. 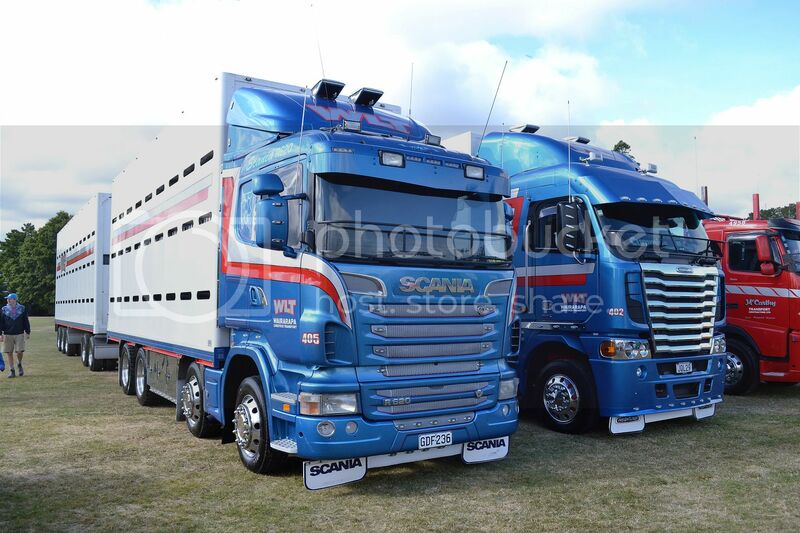 Wairarapa Livestock Transport exhibited their smart livery on Scania and Freightliner. 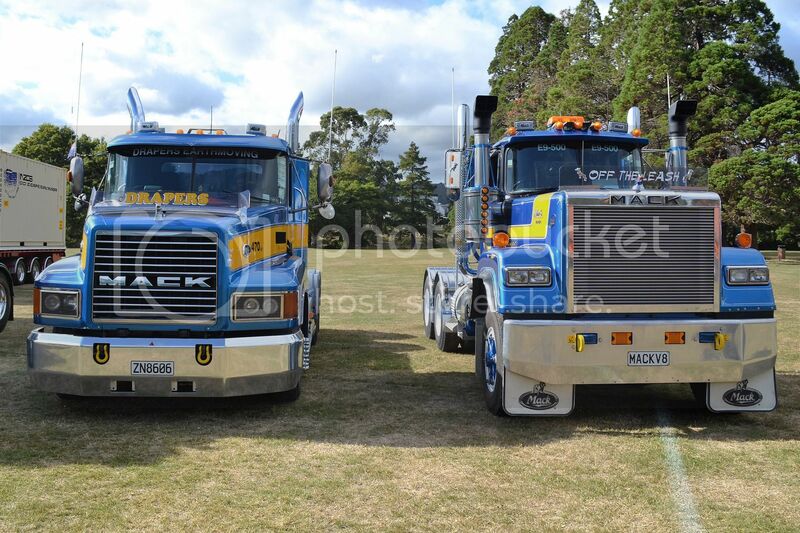 Draper's Mack CH just doesn't look as "in your face" as their older Super-Liner.